Here is an early model 1803 Rolex Day Date from 1960 with a truly rare white dial. 99% of 1803s have either silver, champagne or black dials. Solid 18k gold case measuring 35mm diameter by 13mm. 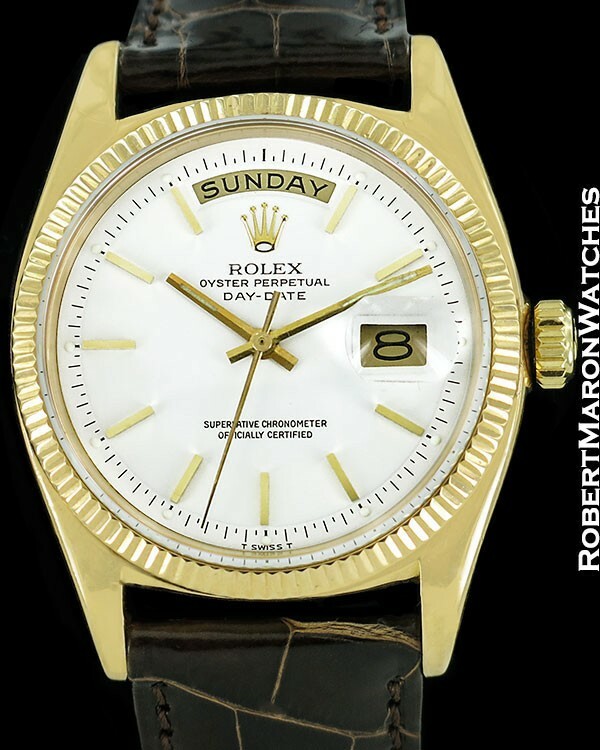 Bezel is more reeded than fluted, hearkening back to the preceding model 6611 Day Date. Plastic crystal and screw down crown. 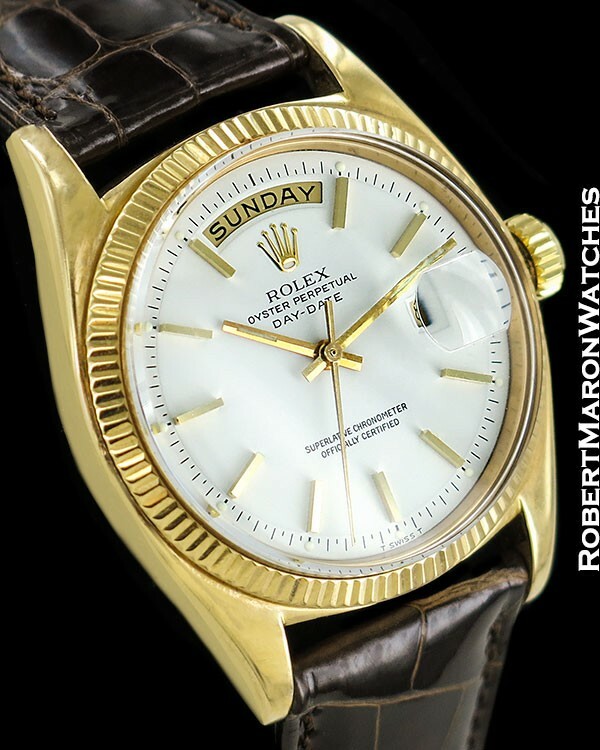 Serial number 532XXX dates watch to early 1960. 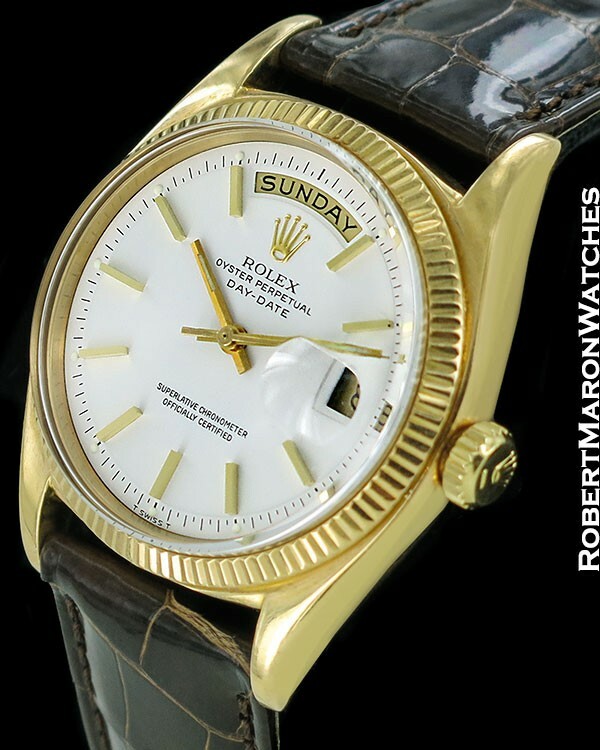 Snow white 100% authentic Rolex pie-pan dial with applied golden indices and golden baton hands. Full day on display at top of dial and date window at 3 o’clock. Movement is the automatic winding Rolex Caliber 1555 with 25 jewels, adjusted in 5 positions, clean condition and running. This movement is a C.O.S.C. Certified Chronometer. Watch is on new Patek Philippe alligator strap with Rolex buckle.